Order Day-Old Chicks From Us! If your objective is raising pasture, heritage, or bantam chicken breeds, then you’ve come to the right place. 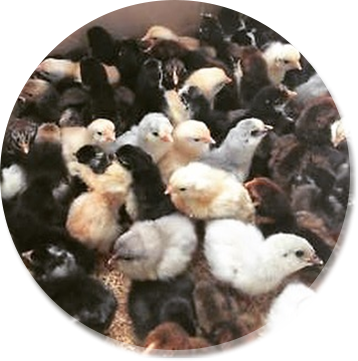 Order chicks from Bob’s Biddies and be assured that they are healthy and free from diseases. We would like to introduce you to Bob’s Biddies LLC. We are a locally owned and operated chicken hatchery just outside of Ray City, GA. Our farm is certified by the National Poultry Improvement Program (NPIP), and our motto is “backyard-grown and backyard-hatched.” All our day-old chicks are just like what your grandparents used to raise with all-natural feed. We have incorporated the use of non-GMO feed that is used for all our parent stock. That means that we are chemical and additive free, all natural, so our birds are healthier and happier. For all of you 4-H and FFA kids out there, several of our breeds have taken blue ribbons in past years; one of our very own Dominique’s took Grand Champion at the National Poultry Show in 2016 by one of our regular customers. Our chicken hatchery specializes in day-old chicks from pasture breeds that are great for meat and eggs. The Cobb 500 pasture broilers are ready for processing in as little as 6-8 weeks, weighing approximately 4-4 ½ pounds. The Nicolas White Pasture Turkey is ready for processing in approximately 15-17 weeks, weighing approximately 10-12 pounds and available by special order. Many of our current customers say they are the most tender, juiciest, and best tasting birds to have ever made it to their table. We offer several heavy brown egg layers great for the pasture that produce plenty of eggs to fill all your needs. These birds do not mind the crazy weather we get everywhere from north to south. 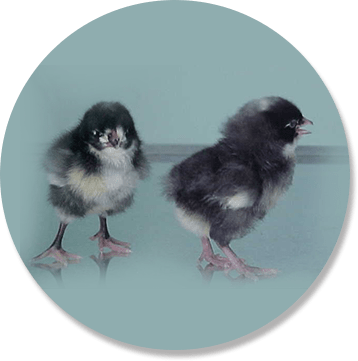 We offer professionally sexed pullets and cockerels from our brown egg breeds. Broilers, turkeys, and bantams are straight-run only (pullets and cockerels mixed). We can ship just about anywhere there is a post office (minimum of 20 chicks to ship safely) or pick-ups are available for those who are local or want a nice drive to get away for a while. We look forward to hearing from you.